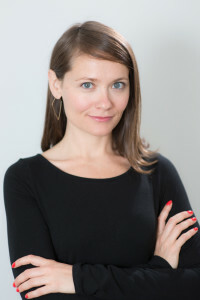 Kelani Nichole, Founder/Director of Brooklyn based TRANSFER Gallery, started the exhibition space nearly four years ago in order to support and cultivate artists with computer-based practices through solo exhibitions, events and international art fairs. She's passionate about nurturing and growing the digital art market via exposure and education and has taken the time to share some of her insights, challenges and hopes for this fascinating medium. Get to know Kelani. What led to your interest in digital art, specifically computer-based work? I studied Art History at university and in 2010 joined a curatorial collective in Philadelphia. As I planned my first exhibition it seemed natural to engage with studios practicing online. I gravitated toward the avant garde online movement loosely referred to as ‘net art’ and I was hooked. Over the years, my curatorial specialty has developed along with these studios and I am happy to have a hand in evolving the means of support for artists working with distributed online art practices. What inspired you to open a physical gallery space dedicated exclusively to digital art? Opening the gallery was an experiment – I wanted to continue working with the studios I supported in my early curatorial projects. An article from Claire Bishop in Artforum late in 2012 titled ‘The Digital Divide’ was influential in my resolve to further develop these works through exhibition format in the gallery. The idea was to focus on solo exhibitions featuring new, challenging work coming from the studio that didn’t have another venue to be realized. The roster of artists was strong right out of the gate and the market came knocking on our door. What do you believe are the biggest misconceptions about digital art and what would you like people to understand? The biggest misconception with ‘digital art’ is that it’s any different than other means of contemporary artmaking. I’m keen to stop using the word ‘digital’ to talk about these practices. One of the biggest challenges to the appreciation of these emerging formats is our lack of vocabulary to discuss these practices and their implications on the institutions of the artworld. 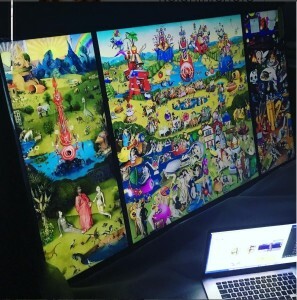 The practices I support are contemporary art practices that have a fundamentally computer-based process – the works that come from the studios are an even split of moving images/software pieces and physical objects. The genres of practice are moving image, photography, sculpture, performance, time-based media, glitch, procedural animation, algorithmic art, installation with a heavy conceptual slant present in my program. I’m specifically interested in Internet aesthetic, distributed art objects, the public space of the Internet, and emerging display technologies such as VR/AR and high-definition 4K formats. I am working to build a new market for animated GIF artworks, distributed public artworks and application based artworks. How or where do you see the medium of digital art in 5 years? Do you see a time when digital art is considered mainstream? Yes. I believe it is nearly there. However, there is a grey area in the visual landscape we live in, a world flooded with creators and curators. I believe the art world is still struggling to address these practices and figure out meaningful ways to adapt and contextualize the explosion of creative authorship in our contemporary moment within the canon of art history. What do you think about all the hype surrounding VR? Do you think it’s a tool that artists will widely embrace? Yes. Absolutely. If you haven’t used HTC Vive go do it immediately. Go, and you won’t even ask that question anymore. Our world is rapidly virtualizing and I hope artists will deeply engage with VR to help ensure this technology develops with criticality and humanness. I actively support VR/AR practices and believe this is the future for much of our human experience. Tell us a little bit about your current collaboration with the Minnesota Street Project, TRANSFER DOWNLOAD. I visited the Bay Area this spring just as Minnesota Street was launching, and found my way there on the recommendation of Magda Sawon of Postmasters Gallery. I could tell this was an opportunity to engage with a fresh new energy around contemporary art. I was lucky to meet the folks involved and found the rotating media room to be a (somewhat smaller) replica of my own space in NYC. MSP has been hugely supportive and I’m excited to spend the summer hosting salons and tours at the space. I’m fortunate to have fabulous collaborators on the west coast, which is home to an incredible creative coding community.